Home is a special place, and Beacon Lake is a special place to call home. There is so much to love at Beacon Lake, and so many reasons you’ll love living there. Beacon Lake is an intimate and friendly neighborhood with a true sense of community. It offers fabulous lifestyle amenities including a 43-acre, paddle friendly lake (larger than 32 football fields! ), splash park and state-of-the-art fitness facility. The community is a wonderful place to live and raise a family. Residents enjoy a convenient location in northern St. Johns County near some of the best schools in Florida. Homebuyers love Beacon Lake’s naturally beautiful surroundings and selection of coastal-inspired homes by the community’s Phase 1 builders, Dream Finders Homes and Mattamy Homes. Beacon Lake celebrated its grand opening in April 2018 and already has nearly 200 residents that call the community home. 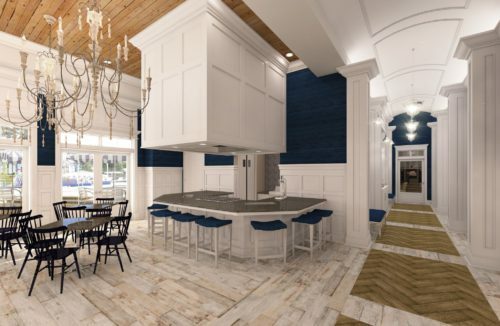 Opening in early 2019, the 8,200-square-foot Lake House Amenity and Fitness Center will be the heart of Beacon Lake and home to fun and fitness activities for residents of all ages. The nautically themed gathering place will provide plentiful opportunities for indoor and outdoor recreation – and relaxation – for every member of the family. Enjoy cooling off at the Splash Park and fun pool or swimming laps in the Junior Olympic pool. Build sandcastles or relax at the lakeside sand beach. 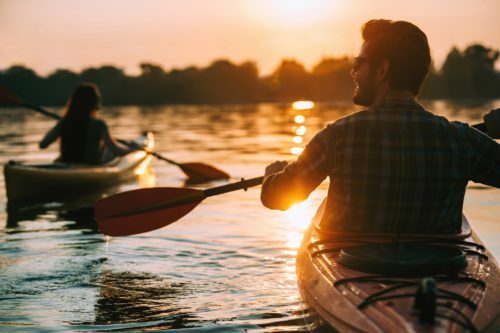 Launch a stand up paddle board, kayak or canoe and paddle to your heart’s content. A Crew House will provide rental kayaks and paddles, making it easy to enjoy Beacon Lake. Workout warriors will appreciate the fitness center with cardio and strength training equipment, free weights, spin bikes and a yoga studio. Foodies will adore cooking up something fun in the culinary studio and demonstration kitchen, which will be available for catered events, cooking classes and chef demonstrations. Tennis anyone? Play like a champion on the tennis courts. The multipurpose playing field is perfect for pickup soccer games, playing catch or ultimate Frisbee. Kids can swing, climb and slide in the neighborhood park. With 358 acres of nature preserve as a backdrop, Beacon Lake will have miles of wide multipurpose pathways designed for walking, jogging and bicycling. 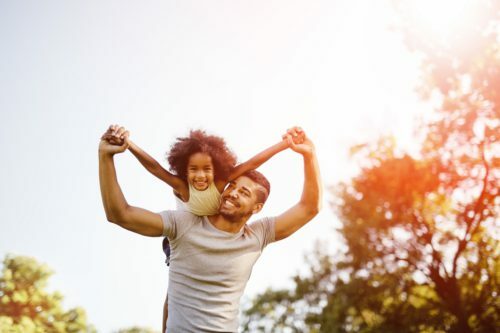 The community’s pocket parks and stop-a-whiles, including some with fire pits, swings and benches, will make it easy to enjoy the beautiful outdoors while getting to know your neighbors. Beacon Lake’s four-legged residents will enjoy a topnotch dog park, making it possible for the pups to socialize with their neighbors, too! Beacon Lake is within the St. Johns County Public School District and zoned for A-rated schools including Ocean Palms Elementary School, Alice B. Landrum Middle School and Allen D. Nease High School for the 2018-2019 school year. Seeing is believing. Visit Beacon Lake. 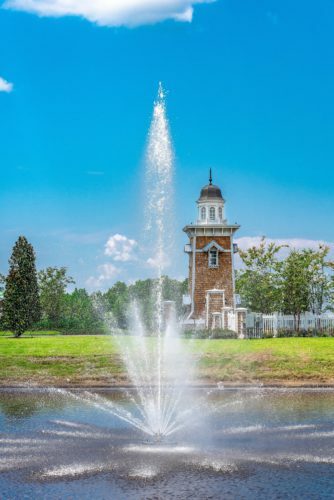 Look for the community’s iconic lighthouse monument entry and exquisitely landscaped roadways. Beacon Lake is located on the south side of County Road 210 between U.S. Route 1 and Interstate 95, near shopping, dining, employment centers and area beaches. For more information about Beacon Lake, visit www.BeaconLake.com.